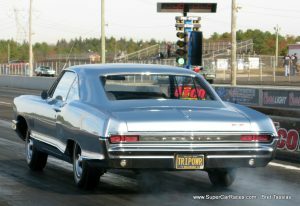 Jack Anderson’s 2+2 | Delmarva P.O.C.I. 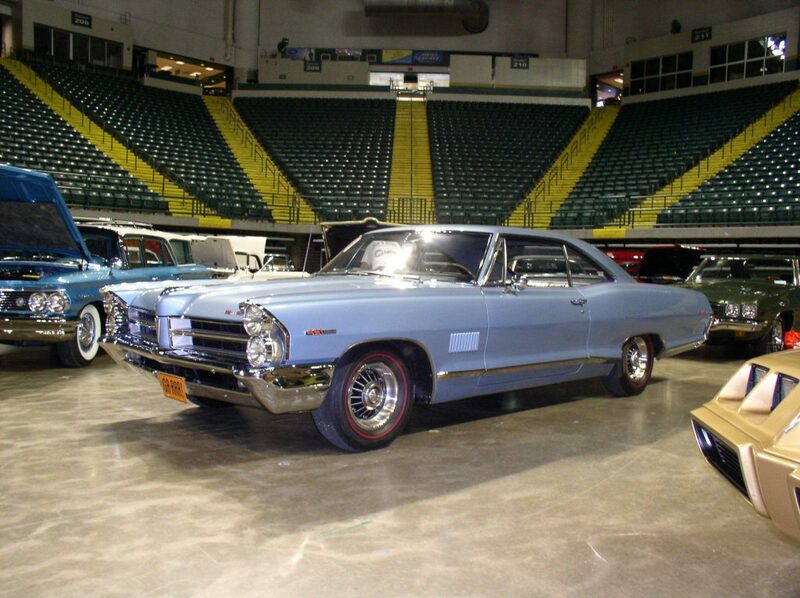 According to Pontiac Historical Services, this Pontiac Catalina 2+2 sports coupe was built on or about December 7, 1964, at the Linden, NJ, assembly plant. The vehicle is Fontaine Blue with a Blue Charcoal interior. 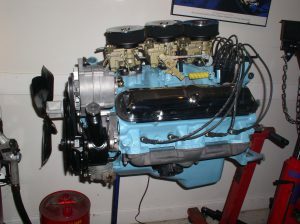 Original equipment included the 2+2 Sports Option, the 421CI/356 HP WH code motor (one of 877 1965 Pontiacs so equipped), Tri-Power carburetion, with a 4-speed manual transmission, and 3.42 Saf-T-Track rear. The car retains all original body panels, glass, interior & drive train. Since its original sale by Jarman Pontiac, Baltimore, MD, the car has always been registered in Delaware. Purchased in 2007, it has been restored with new paint, re-plated bright work & the engine rebuilt by Pontiac racing guru’s Jim & Mark Pickett of Runnin’ Injun Racing. In the last two years it has been driven over 13,000 miles — round trips to Ohio four times, Charleston, WV, Bowling Green, KY, and assorted trips to PA & NJ. 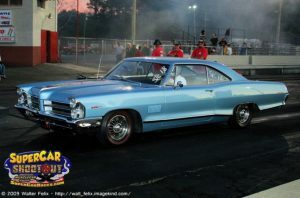 It has been awarded three POCI Gold Awards, an AACA National First Junior Award, & Pontiac Fall Nationals Best-In-Show. The car is not just a show car, however. 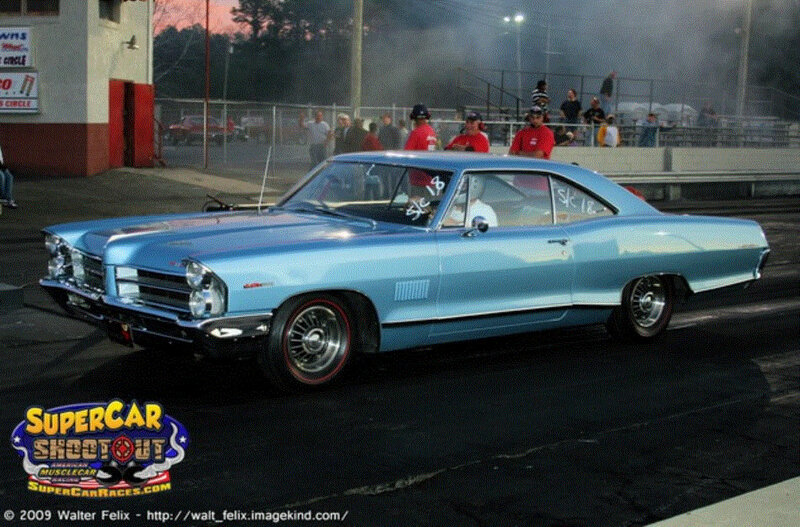 Frequent trips to drag race events in NJ & MD have resulted in high 13-second 1/4-mile times @ 102mph. Not bad for a Big Pontiac. 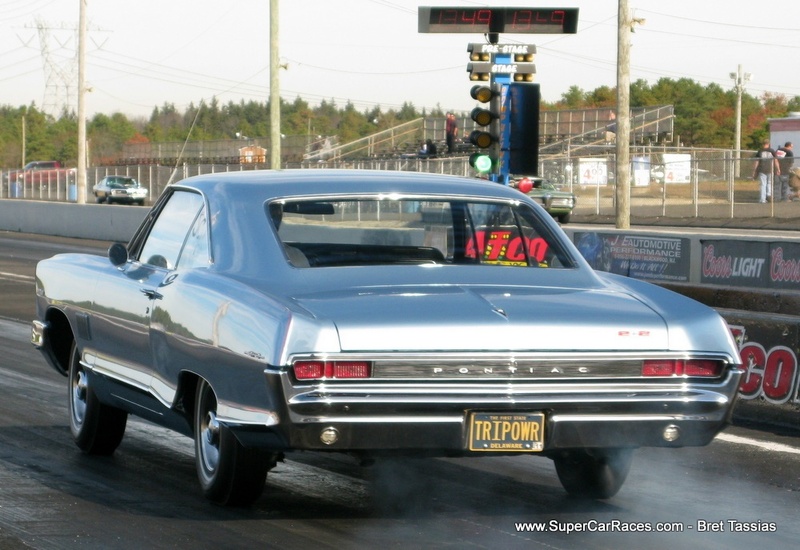 Owning this car inspired me to form a 2+2 Registry, hosted at www.Pontiac2plus2Registry.com.